Ravenscourt is a 19th century stone house in the heart of Lerwick, refurbished and fully modernised to offer warm and comfortable self-catering accommodation for up to 5 people. Next to the Town Hall, the house has 2 lovely spacious bedrooms, one with a super-king sized bed, which can be split to twin beds; and the otherwith a kingsize and a single bed. A well fitted bathroom with separate wc is also on the first floor. At ground level there is an open plan modern fitted kitchen/ dining room seating 6 and a separate, comfortable lounge. 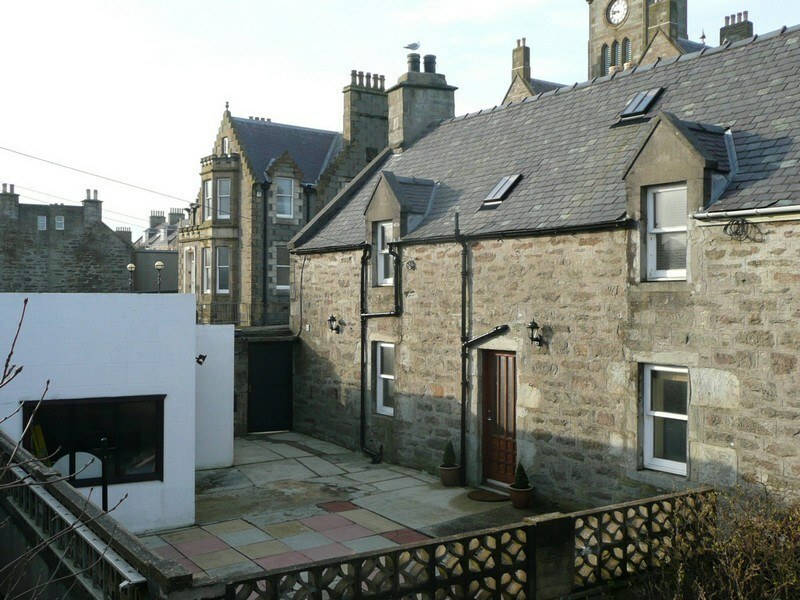 The spacious, private courtyard offers a peaceful spot to enjoy Shetland's fresh air. Lerwick's main shopping street, Commercial Street, is at the bottom of this small 'no through' road and all the town's attractions are within walking distance. Lerwick is in the centre of Shetland's mainland so you will be well positioned to explore the surrounding areas. Parking is freely available right outside the property.